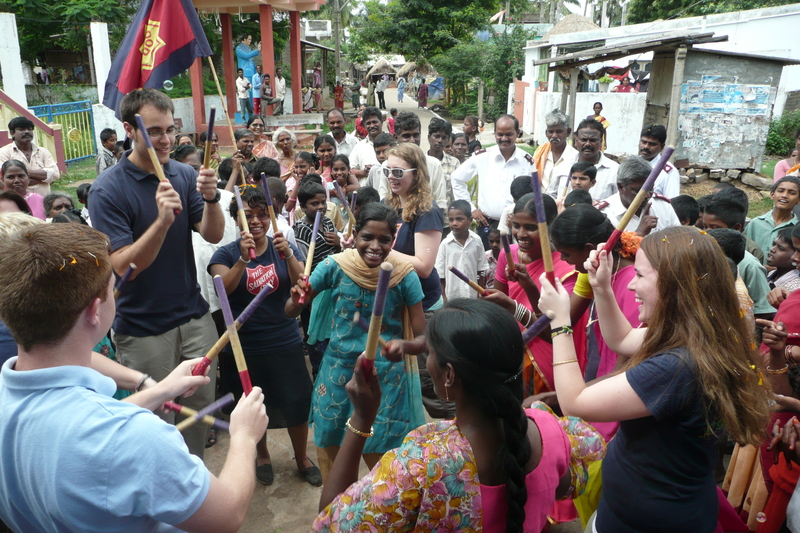 Apply for 2012 Summer Mission Teams! | Metro Youth Network | Connect. Experience. Grow. Home » Nate's Blog » Apply for 2012 Summer Mission Teams! Apply for 2012 Summer Mission Teams! Are you looking for an opportunity to grow in your walk with the Lord, serve in a team setting, and develop your leadership skills? It may be the year to consider applying for the Central Territory Summer Mission Team! Each year The Salvation Army offers an opportunity for young adults to work alongside Salvationists all over the world through the Summer Mission Team (SMT) program. SMT is a leadership development program that invites young people into a deeper relationship with the Lord through participation in an eight-week team missions experience. Whether you are painting an orphanage in the Caribbean, weighing babies in South Africa, or talking to people in an open market in Argentina, being on the frontlines of ministry will open your eyes to God’s love for the nations and help you discover His plan for all people to be part of His Kingdom. You’ll develop a clearer worldview, a better understanding of the commonality of the human experience, and a broader perspective of The Salvation Army. Click here to meet a few of the young adults whose lives were transformed through a summer of ministry. Active member of The Salvation Army (Salvationist). Must own and be willing to wear uniform as assigned. Must have the endorsement of the Corps Officer and Divisional Headquarters. Visibly demonstrate love for God and compassion for others. Evangelistic zeal and a clear personal witness. Team members are selected through an application process and by a committee dedicated to making sure the teams are committed to God and the mission of The Salvation Army. Is this the year you should apply? Don’t wait! Have a talk with your corps officer, then fill out and submit the online SMT interest form.